per minute model. The C-Meister is a direct-vent, modulating constant temperature water heater. 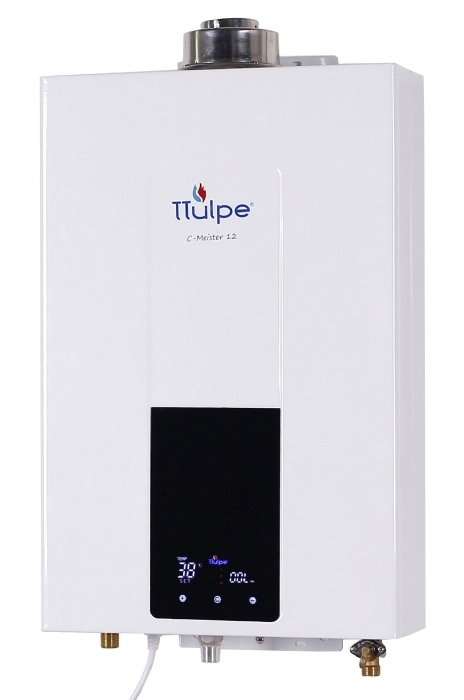 TTulpe cares about the environment, our water heaters do not contain any hazardous materials and comply with the limits as set by RoHS Directive (EU) 2015/863 amending Annex II to Directive 2011/65/EU. The water heater is available for all countries within the EU.